Lender requirements for mortgages are beginning to ease across northern California, providing a positive sign to potential home buyers in Sacramento, Placer, Yolo and El Dorado counties. According to a recent report from the Mortgage Bankers Association, down payments, credit scores and other terms are finally beginning to ease as some lenders expand their mortgage offerings and focus on broader buyer markets. Rocklin Today reports that this movement is in part thanks to government efforts to reduce regulations and increase affordability in the housing market. This loosening of underwriting standards is allowing customers to take out mortgages with smaller down payments or lower credit score. 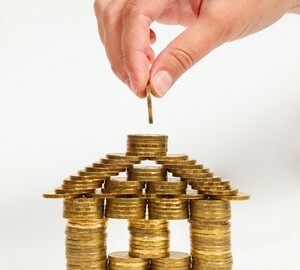 This, in turn will help boost profit margins for lenders, who will see overall mortgage numbers increase. For example, The Federal Housing Administration has been consistently guaranteeing insured loans with as little as 3.5 percent down recently. The organization significantly reduced their upfront mortgage insurance premium, which allows more buyers to qualify for larger loans. The Mortgage Reports noted that these loosening standards are being reported at 14.1 percent of banks across the country. With nearly two-thirds of all loans approved in December 2014, this trend could provide a significant boost to the house market in Sacramento. Actually mortgage rates are also falling, the source reported. With more affordable payments, more first-time buyers are being attracted to the market. This trend makes it both a perfect time to buy and sell. If you're looking for a home on the Sacramento housing market, or considering selling, contact me, top real estate agent Jon Hesse. With more than $100 million in completed transactions and a decade working in the local market, I have the experience necessary to help you get the best price on the market.